I’ve always loved Super Smash Bros, ever since me and my brothers got it one christmas as children and played it non-stop, it’s always had a special place in my heart. The game took a while to get used to, but being a kid didn’t stop me and my siblings, as we soldiered on until we smashed the hell out of each other. It wasn’t until many years later, when Smash Bros Brawl came out on the gamecube that I realised how fond I was of the series, with myself playing it with friends and family during my teenage years, and easily into university with some of my best friends on their Wii. It’s a fantastic series, one that brings people together, no matter what their skill range may be. So with all this in mind, what do I think of Nintendo’s latest brawler? It’s bloody fantastic. The character models on the 3DS version have a cel-shaded look with the reason being the small size of the 3DS’ screen. Despite this new style, Smash Bros still manages to look fantastic. The first thing I done when I received the game was took it around my families house and proceeded to battle for hours on end. Having not played Smash Bros in years, I lost, time and time again, but this didn’t deter me, as I continuing honing my skill with bowser and dr mario and continued to smash people out of the stage. It’s one of the fantastic things about smash bros that hasn’t been lost with all these years: the games fun no matter what your skill level may be. Items on the stage help to even the playing field, with my youngest sister easily smashing us off the stage when a lucky hammer would come her way. Suffice to say, the multiplayer is just as fun as ever, and reason enough to get Super Smash Bros Brawl on either 3DS or Wii U. So what of the single player? Well there’s plenty to do, with myself spending most of my time in the classic mode, where you must go from one stage to another fighting variations of characters as you go. The difference with Smash Bros for 3DS is the fact that you can choose your path, with some paths being harder than others but netting higher rewards. Next up is the Smash run: a mode where you run across a stage as fast as possible all whilst killing as many enemies to collect their stat bonuses. Once the timer is over, you then proceed to battle it out with CPU controlled enemies on a normal brawl level but with different abilities from the stats you collected. it’s a fun mode to play in short bursts, and one that certainly helps in unlocking all the characters available this time round. Whilst there’s a great deal of characters on display here, most players will end up going back to their favourite before long. Whilst on the subject of characters, how do the new additions hold up I hear you ask? Well for the most part, pretty well. 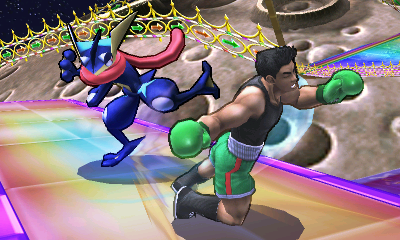 The Villager from Animal crossing is overpowered to hell, but otherwise additions like Pacman and little mac are a standard affair of learning what abilities they have on the B button, and proceeding to master when to use said abilities. As much as I just dismissed little Mac, he’s actually got one of the best line up of moves compared to the whole roster. He’s fast and light, and whilst he can’t jump, he’s bloody powerful, making for a very worth opponent. 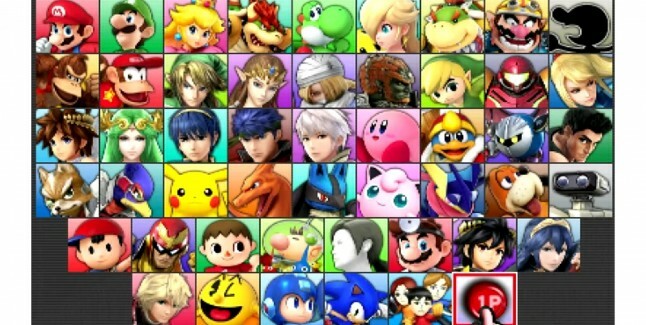 Despite all these new additions though, I couldn’t help but fall back to tried and tested characters like Bowser and Doctor Mario; my favourite characters because one is fast and all around great (Dr Mario), with the other being just massively strong and an outright monster to budge. For all of my positives about the game, I only have one glaring negative: Smash Bros for 3DS doesn’t innovate on the smash bros formula in any noticeable way. Don’t get me wrong, the game is extremely polished, to the point I don’t think I could find a sharp edge on it even if I tried, but in playing it safe, Nintendo also made the game boring for me far faster than it typically should. The rise of DLC characters has kept my interest peaking back here and there, but I can’t help but feel Nintendo played it far too safely, and could have come up with some new modes that really mixed the formula up in new and interesting ways. Whilst the top screen is where all the action happens, it feels like Nintendo could have made better use of the bottom screen. 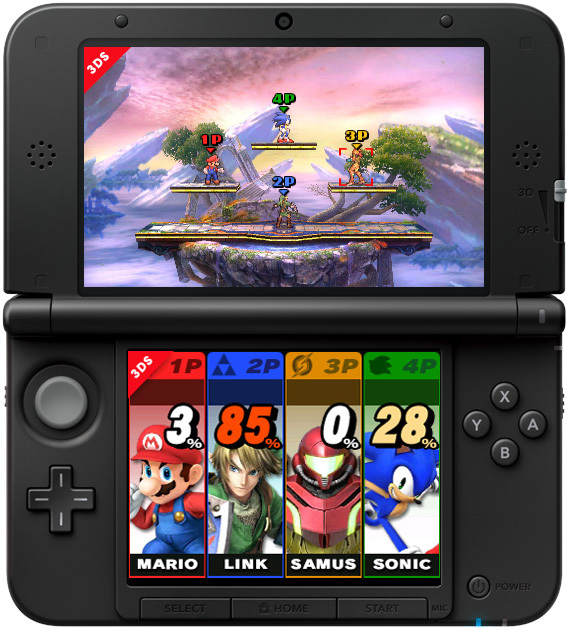 So should you own Super Smash Bros for 3DS (or Wii U)? Well, it depends how many friends you have or how much you like fighting. Playing with my family like good old times was great, but I got bored quickly when I wasn’t playing with others. If you’re a loner for most of the time like me, you may not find great value in the game, despite how great and polished it is. If your answer is that yes, you’re a social butterfly, then seriously, you cannot find a better party game than Smash Bros right now.